1See dealer for details. 2Delivery and Handling fee. See dealer for details 3Must qualify through GM Financial. Not available with special finance, lease, or some other offers. Take delivery by 04-30-2019. See dealer for details. 4Not available with special finance or lease offers. Take delivery by 04-30-2019. 1Delivery and Handling fee. See dealer for details 2Must qualify through GM Financial. Not available with special finance, lease, or some other offers. Take delivery by 04-30-2019. See dealer for details. 3Not available with special finance or lease offers. Take delivery by 04-30-2019. The new Chevrolet Tahoe, offered in Englewood, CO, is generously equipped with a lot of standard features that makes it easy to drive. The bigger engine under the hood provides enough horses to tow a trailer or a boat, as per your requirement. Our dealership has a huge of inventory of the new Chevrolet Tahoe in its Englewood, CO dealership. So customers looking for a SUV that has a good cargo space can drop by today! Inside the Tahoe, the materials used are quite premium, and will mesmerize you. 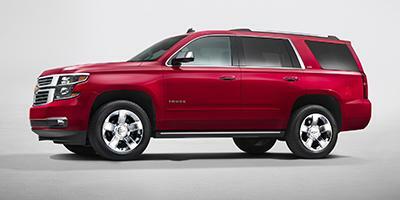 The new Chevrolet Tahoe can get the adrenaline pumping for any Englewood, CO SUV enthusiast. We offer after-sales services. We have huge parts, accessories and tire departments for you to make use of. Drive by our dealership and check out this vehicle. You can also test drive the new Chevrolet Tahoe at our Englewood, CO dealership today!